The incident happened in Edgeworthstown in Longford on Wednesday afternoon. 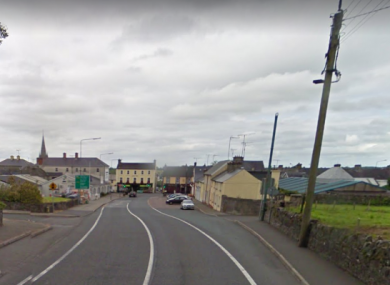 GARDAÍ ARE APPEALING for witnesses after an 11-year-old boy was injured in a hit-and-run incident in Longford on Wednesday. The incident occurred on the Granard Road in Edgeworthstown at around 3.15pm. An 11-year-old boy was injured in the incident and he was transferred to Tullamore Hospital with leg injuries. The vehicle failed to stay at the scene and gardaí believe it to be a black jeep/SUV. Anyone in the area at the time of the incident, who may have dash cam footage, or anyone who may have any information about the incident is asked to contact Edgesworthstown Garda Station on 043 71002 or any garda station. Email “Appeal for witnesses after 11-year-old boy injured during hit-and-run incident”. Feedback on “Appeal for witnesses after 11-year-old boy injured during hit-and-run incident”.